The 2015 Women in Music event by Billboards will be celebrated in New York City on Friday, December 11th, where music stars and industry luminaries will come together for the celebration. Alicia Keys will present the award of Women in Music 2015 Executive of the Year and it will be awarded to CEO and Chairman of Universal Music Publishing Group (UMPG), Jody Gerson. Apart from Keys, numerous celebrities will have the honor of presenting awards at the iconic event to the year’s honorees. Ciara will present the award of Innovator to Missy Elliot, Martina McBride will present Loretta Lynn with the Legend award, Hailee Steinfeld will present Group of the Year award to Fifth Harmony, Hilary Scott (commonly recognized as Lady Antebellum) will present Kelsea Ballerini with the Rising Star award, Paul Rudd will present the Chart Topper title to Selena Gomez and the Breakthrough Artist honor will go to Tori Kelly, which will be presented by Jussie Smollett. The show will be broadcasted on December 18th on Lifetime and will be hosted by NBC’s Today show host Tamron Hall and Savannah Guthrie. 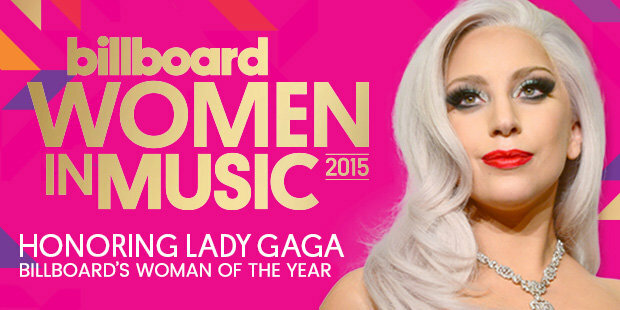 The 2015 Women in Music event’s Woman of the Year honor will be presented to Lady Gaga. Others who will also be honored include names like Selena Gomez, Fifth Harmony, Lana Del Rey, Brittany Howard of the Alabama Shakes, Loretta Lynn, Demi Lovato and Kelsea Ballerini. As far as performances at the event are concerned, Demi Lovato, Kelly, Howard, Lady Gaga, Kelsea Ballerini and Selena Gomez are all scheduled.